It's Friday. You know the drill. It's time to drop this week's edition of Field of view. Your place to find out what's been going in the world of VR and AR. Before we get into all of that, there's also the small matter of what's been happening on the site. This week, we discussed why smartglasses have a 20/20 vision problem and picked our favourite iPhone VR headsets for those who can't afford an Oculus Go or a Lenovo Mirage Solo right now. And we're not done. We've picked out the best of the rest of the news as well as a VR experience you need to try and a vid you should check out too. 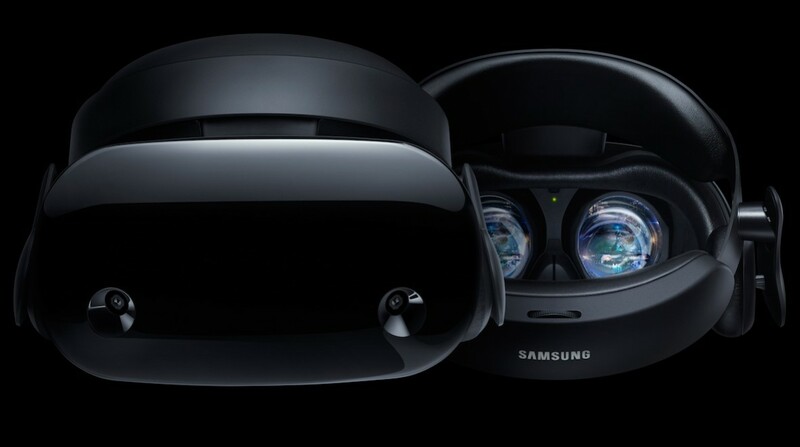 It sounds like Samsung is ready to team up with Microsoft again for a standalone headset that offers both VR and AR. That's according to the folks at Korea Times who claim to have spoken to a Samsung official who has spilled the beans on the upcoming hardware. Apparently Samsung plans to use in-house application processors, OLED displays and sensors for the new headset which will apparently be unveiled at the IFA tech expo at the end of August. Samsung has already partnered with Microsoft for one of its Mixed Reality headsets, but it sounds like Samsung has something more impressive in mind. No doubt to take on the AR headset that Apple reportedly has in the works. Google has added another impressive VR string to its bow by introducing its new Tour Creator feature, which aims to make it easier for students, teachers, and pretty much anyone to make VR tours. That's achieved by using images from Google Street View as well as your own 360-degree photos to create the tour, which can then be published on its Poly platform. Your efforts can then be viewed in all its immersive glory on a Google Cardboard headset. The hit HBO show has been given the VR treatment to coincide with the airing of the last episode of season five. Silicon Valley: Inside the Hacker Hostel takes you into the startup's incubator where you'll come face-to-face with Richard, Dinesh, Gilfoyle and even Jian-Yang. The environment was created using blueprints of the actual set and HDR 360 captures of each of the rooms to help make it feel as authentic as possible. You'll be able to fully interact with the Hostel letting you get drunk on Tequila and even help Richard out on a coding problem. VR is coming to the Cannes Film Festival and among the films to look out for is animated flick Crow The Legend. It's produced by Baobab Studios who have already delivered us two great VR films in the shape of Invasion and Asteroids. This time it's brought in the big hitters for the voice casting with John Legend joined by the likes of Oprah Winfrey, Constance Wu, Tye Sheridan (Ready Player One) and Diego Luna (Rogue One). We'll be at Cannes to check out the first chapter of Crow along with the rest of the new VR films on show. The BBC have been doing some great stuff with VR and its latest offering was named best AR/VR experience at the 2018 Google Play Awards this week. Launched alongside Lenovo's standalone Daydream VR headset, Life in VR lets you experience creature behaviors and relationships through the eyes of a sea otter. A real-time behaviour system enables the otters to be aware and respond to the player and takes full advantage of Google's WorldSense technology to understand movement in VR space. You will need Lenovo's headset to try it, but if you can get your hands on one, it's well worth your time. Over at Stanford University, the college kids started up the Rabbit Hole virtual reality club back in 2015 where students have been flexing their creative VR and AR skills. Snowbird is a 3D-animated short movie that was created by one of the club's co-founders along with fellow undergrad Khoi Le and they're calling it the world's first augmented reality narrative film. You can watch the trailer above and download the Snowbird app (iOS only) and watch the AR short on your iPhone now.